Problem:There was no roadway at 289th E. Ave between 15th and 16th. 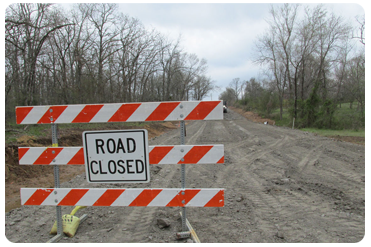 Solution:Trees and shrubs were cleared out and a new roadway was established. The road was built up with proper materials and drainage was added.